This past winter I started teaching piano again. My 7 year old son and niece wanted to learn, so over the winter I set about teaching them the rudiments; and, really enjoyed it. Ideas of taking teaching to a slightly larger level began to take shape. Unfortunately, our piano - a console that my grandmother purchased and dragged all over the western half of Canada - was in need of substantial repair or replacement. I had in mind a small grand but would have been content with an upright. My husband and I set about looking locally (northern British Columbia) but were unable to locate a small grand that suited the sound and quality I was looking for in a comfortable price range. 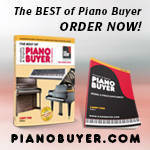 New Yamaha pianos available locally in the $10-18‘000 price range were too bright sounding for my taste. I liked the GC1 but not enough for the $18‘000 price tag. My husband encouraged me to start lining up used and new grands in the Vancouver area with an eye to flying down and buying one there. Internet searches eventually led us to Heritage Pianos and my first phone call with someone who seemed to legitimately ‘know’ pianos and prioritize my needs and desires. Norbert - who many of you already know well from this forum - was a real help. He spent a great deal of time on the phone with me presenting options, answering questions and even playing pianos over the phone for me. Norbert seemed to really enjoy the challenge of pairing me with a lovely sounding instrument that I could afford. He even went as far as recommending a quality used piano that he knew was being privately sold. I ended up deciding on a new Ritmuller GH148 and Norbert arranged shipping to Prince George within the week (we expected 2-4 weeks at a minimum); and at a much better rate than any quote we had received . Refreshingly, Norbert wanted to ensure that the piano was on its way to PG and that our local Tech was suitable to handle any technical issues on our end prior to making any arrangements for us to pay him. My husband and I both felt at great ease with Norbert. Not coincidentally, the piano Norbert initially recommended and played for me was the Rit, and the one I eventually purchased. As for the Rit, I’m still a little stunned when I walk into living room and see it there. Even more stunned when I sit down and play it. It’s a lovely sounding instrument. I could go on about it but beauty is in the eye (or ear) of the beholder. Besides, this forum is full of logs from people who’ve played the new Rit and love it. Our family loves it too. Did I miss whether it is a grand or an upright? We don't know the numbers! Congrats on either - getting a new piano is very exciting! Isn't it a wonderful thing to walk into your piano room and get that thrilled feeling to see your beautiful new piano? Congratulations! We would all love to see your pics when it's delivered.. Glad you like it. But, as lilylady said before, is it a grand or an upright? I've got a feeling it's a grand, as I recall playing a Rit a few months ago with a similar model number. It's a grand....we'll see about a picture soon. The GH148 is a 4'10" grand that sounds more like a 5'6". Congratulations on your new Rit! Did you get the ebony or mahogany? And pictures are always a major plus here. If you're bored, try my blog (mostly faith & family): http://mikeheel.wordpress.com. Congratulations on your new Rit baby grand piano! I know you and your family are thrilled! And, I'm sure Norbert appreciates your kind words. OP decided on her new grand "sight unseen". A special honor - delighted you are very happy with it! Best regards to whole family: hope you will enjoy your new piano for long time! Make sure to come visit when you're in our neck of the woods..
Well it has been about 6 months since my new Ritmueller arrived. Being a single income family and generally cautious spenders there is usually a period of buyers remorse that seems to set in with my husband and I after a major purchase..... let me assure you that neither of us have had a single moment with these sort of feelings! I have played my new Rit almost everyday since it arrived. I love it!!! In retrospect we should have upgraded years earlier.... but then maybe we wouldn't have had the patience to find or commitment to purchasing such a fine instrument.... either way we love it. Many thanks again to Norbert of Heritage Pianos for making this purchase such an excellent experience for my husband and I. It's rare to meet a salesperson who seems genuinely interested in pairing good products with people. At the recommendation of Peter (our tech) we installed a Damp-Chaser. It was a lot of money but knowing how hard our seasonal changes were on my last piano, we decided to take the plunge earlier rather than later. Besides we've come to trust Peter over the past number of months. (he's most impressed with the Rit as well). I started teaching a handful of students this year and decided a commitment to good piano maintenance and care should be one of the foundations of my new home business. Norbert, Please feel free to pass our name onto any prospective purchasers in the event they need a testimonial or might find Prince George a convenient locale to 'test drive' a well tuned Rit! 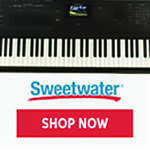 Congrats, on getting a piano you love. My piano was delivered today and I adore even more than when I tried at the showroom. When you have a chance, you should post some pictures of it. I'm glad you love it! Congratulations, and have fun with it! Wait a sec, where are the pictures? Actually, the new Rits weren't re-designed until just 2 or 3 years ago. So everything happened at the right time! Always nice to hear a story with a happy ending. You are very brave to buy a piano sight unseen. Glad it worked out, but I'm sure Norbert had something to do with the successful outcome. Thank you very much for your update from beautiful Northern B.C. Piano obsession started November 2010. Hello, I too recently purchased a piano from Heritage Pianos. Norbert was exceptional. He came on the recommendation of my piano technician. Norbert guided me to play about a dozen or so pianos. I settled on a Hailun HG178 for my home. It was shipped up in about a week at an unbelievable rate. The piano sounds absolutely gorgeous. I have played piano for 44 of my 49 years and I've never played a more enjoyable piano. Norbert explained to me the differences in this and the competing "big" names. This one is hands down above the others. I an a high school band and choral director and have many pianos in my class and stage. I wish I had a Hailun at work. Norbert provided me with exceptional service with his knowledge, expertise and down to earth humour and wit.I visited four major piano dealers in the Vancouver area and Norbert was the only dealer willing to spend the time explaining the brands and manufacturing particulars. 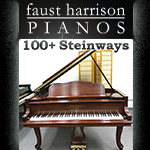 I highly recommend Heritage Pianos if you are serious about buying a quality piano at a great price.